How To Repair Rusted Gutters – Top Tips! 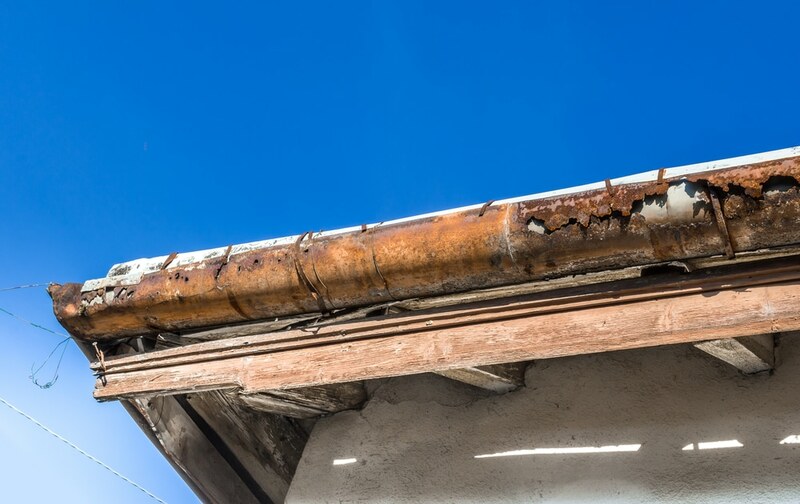 Many homeowners want to know how to repair rusted gutters so their property has street appeal and is in excellent shape, especially given the damage that can be caused during a good old Queensland storm season. Strongguard provides the most professional solution to this common concern, but there are plenty of things you can do yourself to repair gutters, as well as to prevent damage in the first place. Healthy gutters provide your home with the framework it needs to successfully protect you and your family from the elements. Weather in Brisbane and South East Queensland can be unpredictable, to say the least, and a healthy guttering system might be what stands between you and disaster. Most steel or aluminium gutters have a lifetime of between twenty and thirty years, provided they are cared for appropriately. Part of your responsibility as a home-owner is to make sure that checking gutters for rust and damage is part of your annual routine. Checking your gutters twice a year means you can be pro-active about their care and anticipate problems before they become unmanageable. A rusted gutter is a common cause for complaint amongst home-owners. Rust, if left unchecked, can cause serious damage to your gutters and render them unable to perform properly. If you find rust, there are steps that you can take to repair the gutters before the problem gets out of hand. Rust is what happens when oxygen, water and certain types of metal interact, particularly iron and steel. It’s a corrosive problem that eats away at metals, causing holes and reducing structural stability. Modern building materials are treated with anti-rust paints, and aluminium tends to last longer than older metal compounds. But no matter what building materials you have in your home, rust and corrosion may creep in over time. Rust is unsightly and instantly ages the appearance of homes. Worse though, rust on your gutters is an indicator that your guttering system has been compromised. A rusted drain will negatively impact how water from rain, or seasonal storms, negotiates its path away from your home. Rusted gutters mean trouble – and some gutters seem to rust more readily than others. Gutters often used to be made of galvanized steel as it was a very strong and hardy material. This became less commonplace, however, as steel gutters are far more likely to develop problems with rust. Many of today’s homes still operate with gutters made of this older material so it’s important to know what to do if this happens to you. Any repair or maintenance job should begin with cleaning the area of all debris. Ensure it is well washed with detergent and then completely dried. Minor damage should be easy enough to scrub away with a wire brush, purchased at any hardware store. Scrunched up and dampened alfoil is another rust-removal solution that is commonly suggested, but it’s far safer if you’re on a ladder to use the correct tool. Once the rust spots have been removed with the wire brush, you must coat the affected spot with an appropriate metal primer. This is a preventative measure that should halt, or very much delay, further rusting. If the rust has gone unchecked for an amount of time you may find that a hole has eaten right through the steel. This is referred to as rust corrosion and is obviously a more serious problem. Once you have identified and thoroughly cleaned and dried the hole, use roofing cement (tarry paste) or liquid rubber around the rusted edges of the hole. You can then apply a sized piece of metal flashing. Hold the metal flashing firmly in place until the cement has dried and then test for sturdiness. It’s not that important to make sure your work inside the guttering is picture-perfect, but it is vital to take your time to make sure you’ve finished the job. Your repair job should be as thin as possible, sitting flush with the existing guttering, so you don’t accidentally create a ‘hump’ that will prevent water from flowing properly. Part of learning how to repair rusted gutters means you may make mistakes during the process. If you find that any of the roofing cement has smeared or dripped somewhere it shouldn’t have, the use of mineral spirits as a solvent should solve the problem. If it’s becoming obvious that large sections of your guttering are rusted due to age or neglect, it may be time to consider the installation of a new gutter system. If you’re up on the ladder every other weekend desperately trying to keep rust at bay you need to consider your time and your safety. Spending time up on a ladder, juggling a variety of tools and materials, can be stressful and dangerous. If your gutters are at the point of needing regular repair and significant upkeep then it may be time to protect yourself, your home and your wallet. strongguard are Brisbane and South East Queensland’s premier roofing and guttering specialist solution. They can guarantee specific, targeted repair work designed to elongate the life of your current guttering systems and ensure you have an appropriate maintenance plan in place. Twenty years of industry experience and a promise to only use superior materials from the best brands means that the guesswork has been taken out of this job. They have a 24 hour guaranteed response time for quotes and online enquiries to make sure that your home is storm-safe. Wondering how to repair rusted gutters? Whether it’s rust you’ve just noticed, a larger problem, or the appearance of holes, it is technically possible to repair some rust in gutters yourself. If you’d like the assurance of a job done well, however, with no risk to your safety, talk to the professionals at Strongguard. Need help or advice about how to repair rusted gutters? 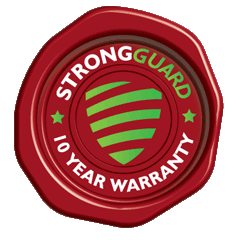 The experts at Strongguard are here to help. Contact us today!